With plenty of popular models and a reputation for reliability, choosing a preloved Ford for your next vehicle is a smart move. Buying a pre-loved vehicle allows you to really research the car that you are intending to buy as it hasn’t just been released. You can also save a bit of money and even get a higher trim than you would otherwise be able to afford. At Karz Plus, we want to give you some information so that you will know how to pick a great used Ford in San Diego. Whichever model you choose, you can be sure that the preloved Ford that you select left the factory in pristine condition. Of course, the time has passed so the vehicle has had some use and won’t be brand new but you can check to ensure that the used Ford has been looked after by previous owners. General condition, wear on the seats, and the maintenance record are a good start. A professional assessment of the mechanical condition is a great idea if not buying from a reputable source. When purchasing a used Ford, you need to ensure that the vehicle is in a safe and roadworthy condition prior to purchase. There are also some checks that need to be made to reduce the risk of buying a vehicle with an encumbrance or one that has been written off. Always take the vehicle for a test drive and make sure that all controls are operational, listen and feel for abnormal sounds and vibrations, and find out if the vehicle really suits your needs. You can take the worry out of buying a used Ford by buying from the dealership that more and more people are choosing to trust. 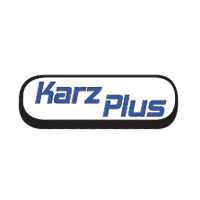 At Karz Plus, we are proud of our reputation in the used vehicle market and aim to keep serving the San Diego community for many years to come.